So, you’ve decided to write a blog and you’re not sure what to write about. I’ve developed this list of blog topics and I’m sharing it with you. 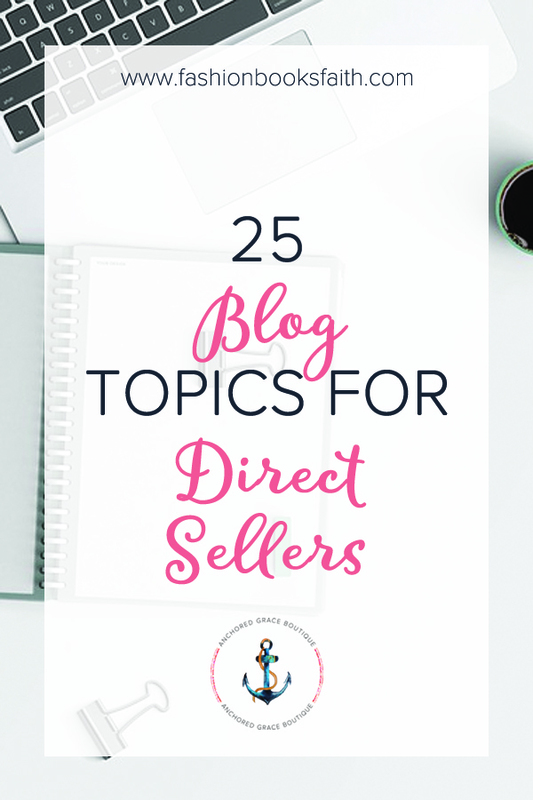 Check out these 25 blog topics for direct sellers. These 25 blog topics will help you get started as you write for your blog. You can add your own pictures and flair to turn it from just a topic to an awesome new blog post. Blogging is a great way to funnel traffic for your direct sales business. Check out our post on how to start a blog. If you’re not quite ready to start a full blog try micro-blogging. Sassy Direct is the best blogging platform for micro-blogging. Do you have another blog topic that you’d like to see added to this list? Drop me a message or head over to our group and discuss there.